Fox News anchor Greta Van Susteren apologized to New Jersey Governor Chris Christie during her show for saying that he hugged Obama. Referring to a photo of Christie and President Obama after Hurricane Sandy, Van Susteren admitted that she now realized that he wasn’t actually hugging the president. “You know I looked at it last night and I said, that’s no hug and I gotta say I’m sorry about the hug,” she said, admitting it was a rare apology from a member of the media. “Well thank you Greta, I appreciate that,” Christie replied, pointing out that it was in fact a handshake in the photo, not a hug. 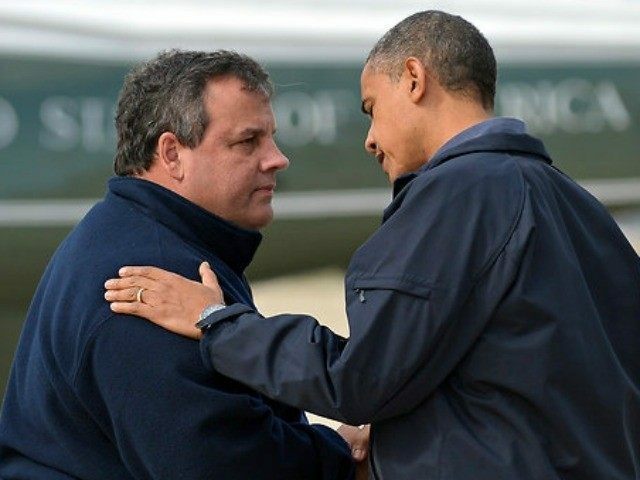 Christie defended himself for welcoming Obama to the state after the disaster, saying he acted as a “principled leader” by his actions after Hurricane Sandy. Van Susteren agreed, “Obviously I don’t like to get it wrong, and I think it was time to interfere on that so-called hug,” she said. “Thanks Greta, I appreciate it,” Christie replied. After apologizing to Christie, Van Susteren showed a slow-motion video of Christie’s greeting of the president at their airport after Hurricane Sandy in 2012.